Invite a friend, family member, a colleague, a neighbour or a stranger to church. Show them love by offering them the greatest gift possible, the knowledge of Jesus Christ. 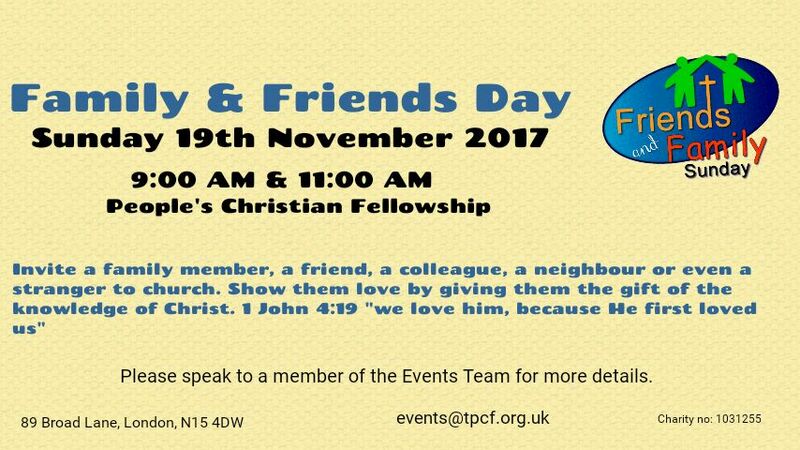 Contact events@tpcf.org.uk for more information.